“Quirky, 18th-century townhouse tea room that transforms into a cocktail lounge every evening.” – Sounds pretty appealing, right? When I first saw a photo of Sketch London‘s famous pink room “The Gallery” a few years ago, I completely fell in love with the design of it. Sketch is Pierre Gagnaire’s dining masterpiece, and for those who appreciate good interiors; it’s also an amazing space where so many themes can be taken and injected into the home. I’ve put this post together pull in design inspiration from multiple sources, so you can create your very own Sketch-inspired-boudoir! I’ve broken it down into four subheadings for four of the rooms at Sketch; The Gallery, The Lecture Room, The Parlour and The Glade. The Gallery, the famous pink brasserie in Sketch, is the more casual of the two main dining areas. It is now a decade old and the room had a revap in the early months of 2012 with help from the Turner Prize-winning artist Martin Creed. Since then, David Shrigley, another Turner Prize-winner has also made a design impact on the restaurant space. His work is displayed everywhere; all over the walls and even in the table shakers! The gallery is open seven days a week for afternoon tea if you fancy it, or for a beautiful evening dining experience. These gorgeous velvet chairs from Cox & Cox in ‘Desert Rose’ remind me so much of the plush seating in Sketch. Although a slightly more vibrant pink than the famous pastel tones found in The Gallery, these chairs have the same luxurious style and would add a perfect touch of indulgence to any space. If you love these chairs but pink is not your vibe, (not sure why the feature image attracted you to read on, but I’m not judging…) then they also come in four other gorgeous colours. You can choose from Navy, Mustard, Forest Green and Light Grey. The Gallery uses subtle copper tones to complement the soft pink seating and walls. As you’ll notice from the photo, it appears at the bottoms of the chairs and on lamps on the tables in particular. These coasters are a lovely quality and can help you to easily bring the copper trend into your home to see if it works. Around The Gallery, 239 new works from celebrated British artist, David Shrigley, line the pink walls. This is the largest group of original drawings David Shrigley has ever exhibited. This illustration by Ben Rothery does not exactly mimic the style of David Shrigley but I love it anyway, and think it suits The Gallery’s playful but opulent setting. Pair with a simple white, cream or peach frame to match The Gallery’s colour palette, or opt for another pastel shade if you want to try something different. This room was created by leading Interior Designer Gahban O’Keeffe. I did a bit of reading up about him to write this blog post, and one thing I read that I thought summed it up perfectly was: “His designs are sumptuous with a capital ‘S’, frequently suffused with exuberant colour and over-scaled patterns…a strong emphasis on colour, texture, fantasy and craftsmanship”. So well put! He also speaks Russian apparently. The Alessi “Circus” collection includes mugs, printed kitchen containers, a candy dispenser, a monkey-themed nut cracker and this amazing wine cooler. I can just imagine this placed on a gorgeous gold drinks trolley used to chill a bottle of bubbly. If you like quirky kitchenware, this is the collection to look into. It took me ages to find a rug anything like the design in Sketch, so apologies for it being a pretty s*** example! This room is more moody than the others, with a mixture of textures, patterns and darker colours. The brighter spotlights on the ceiling give a nice contrast against the darker reds, browns and blacks of The Parlour. I chose this to mimic the ram in the far left of the image above. I love the mix of the old and the new in this room. This picture could add some much needed absurdity to an otherwise serious space. It wouldn’t exactly work in my bedroom, but for the sake of this post I think it’s fabulous. In The Parlour there’s a contrast of deep, opulent shades of red and bright modern lighting. 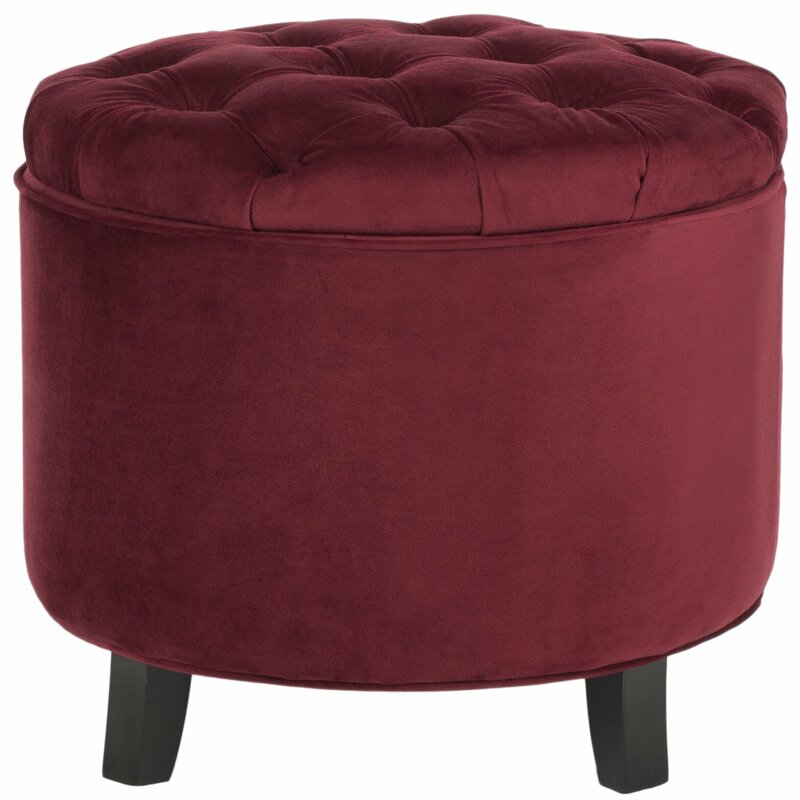 This ottoman can help add a plush touch to a room, and it actually doubles as a useful piece of furniture too. The Glade is described as an “enchanted fairy tale forest, in the heart of central London.” This room is designed by artists Carolyn Quartermaine and Didier Mahieu and every single piece has been handmade and tailored to fit the space. Not only that; every item has been sourced specifically from locations such as Portofino, Sardinia and the South of France! “Impressive peacock chairs and an eclectic mix of ratten furniture create a unique outdoor atmosphere where guests can enjoy afternoon tea and cocktails six days a week.” Traditional Afternoon tea is £27 per person, or £52 for two. For a special occasion, Champagne Afternoon Tea is also available with a variety of champagnes by the glass ranging from Pommery Brut Royal to Dom Pérignon. After 5:30pm, the room transforms into a cocktail bar with a huge list of classic cocktails made with fresh ingredients, including Mojitos and Cosmopolitans. I know this isn’t anything like the enchanted forest feel of The Glade, but I thought the colours worked well and it’s definitely unique. There are so many artists and gorgeous boutiques on websites like notonthehighstreet.com and Etsy.com. It’s worth taking some time to browse before settling for a piece of artwork or print that is bound to hang in hundreds of other people’s homes too! For a strong colour pop, these cushions are an ideal, inexpensive addition to any room. I chose this piece as it has a similar palette to that of The Glade. Although, I struggled to find something with the same enchanted-forest kind of vibe. The attitude of Sketch is; “Why have less when you can have more?” and when applied to quality rather than quantity, I think this is the perfect mantra to have.